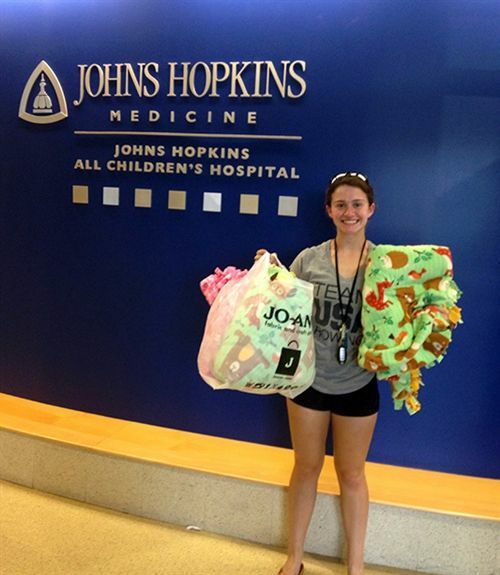 Julianna Wright '18 dropped off 12 blankets to Project Linus at Johns Hopkins All Children's Hospital on behalf of the Shorecrest Upper School Interact Club. The blankets will be given to sick children in the hospital to offer comfort during their stay. Watch for a car wash at Shorecrest in April to support next year's donation!